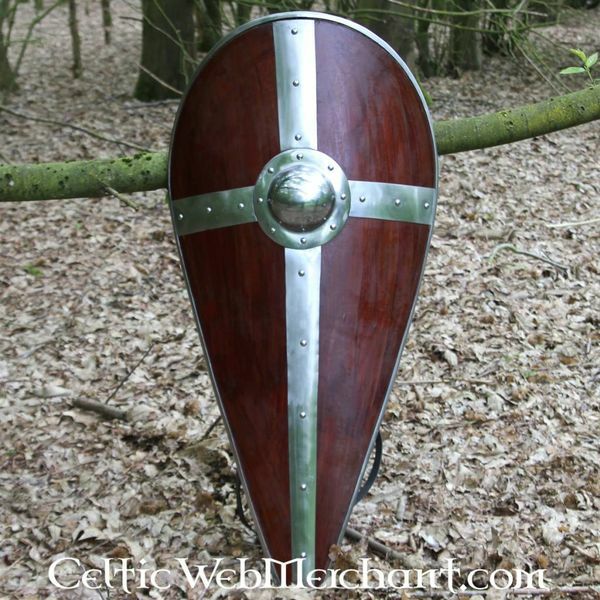 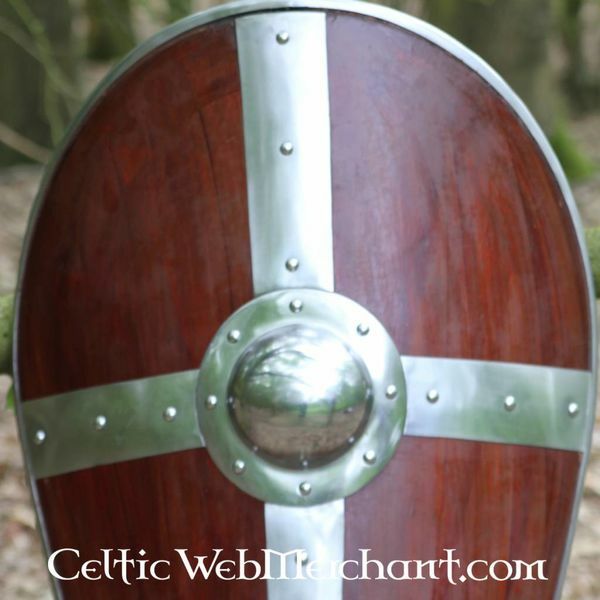 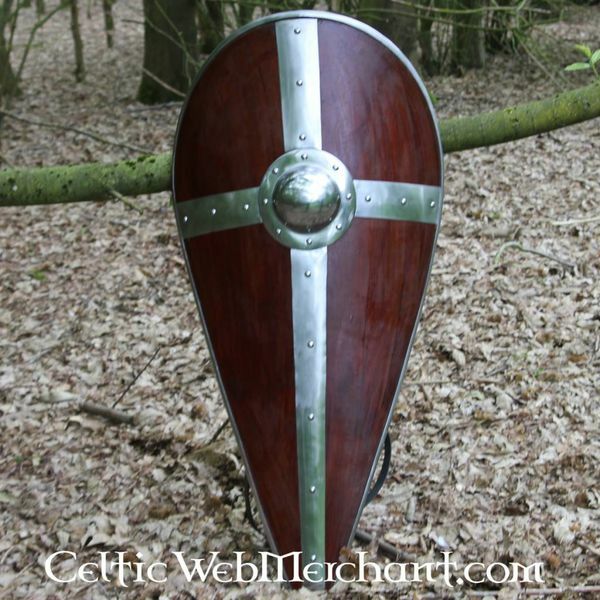 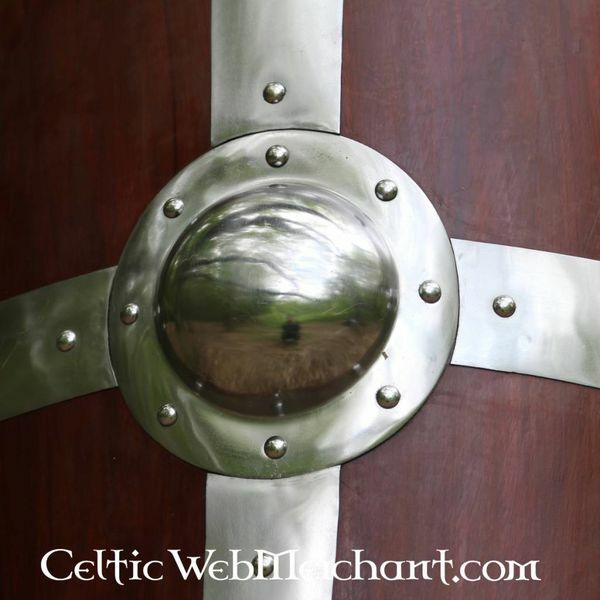 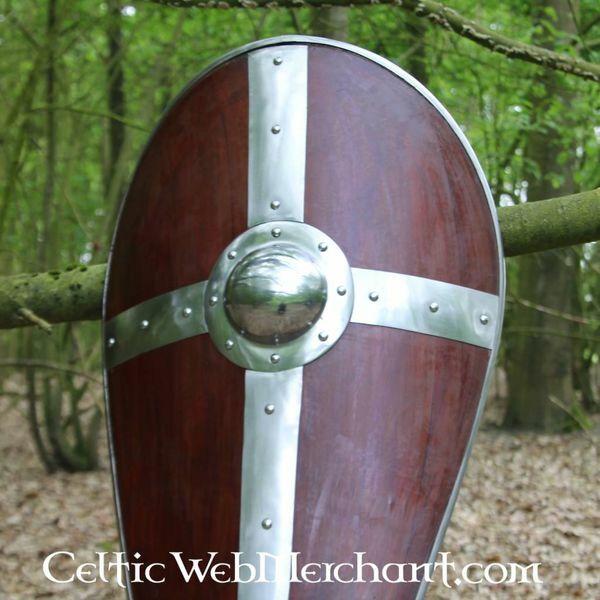 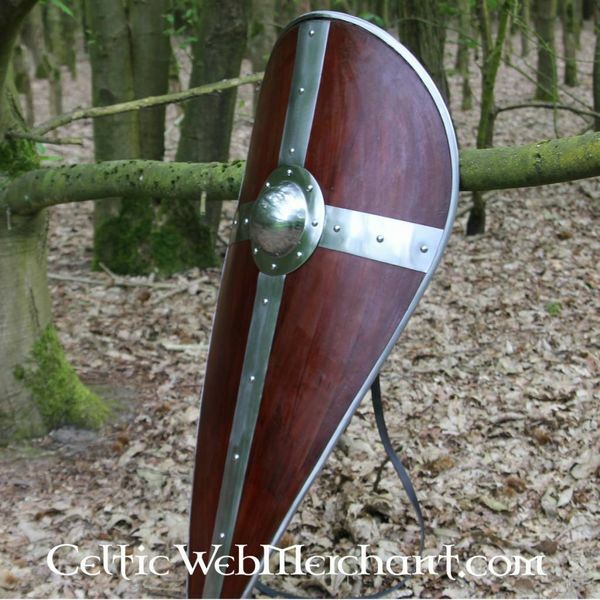 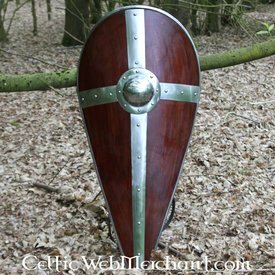 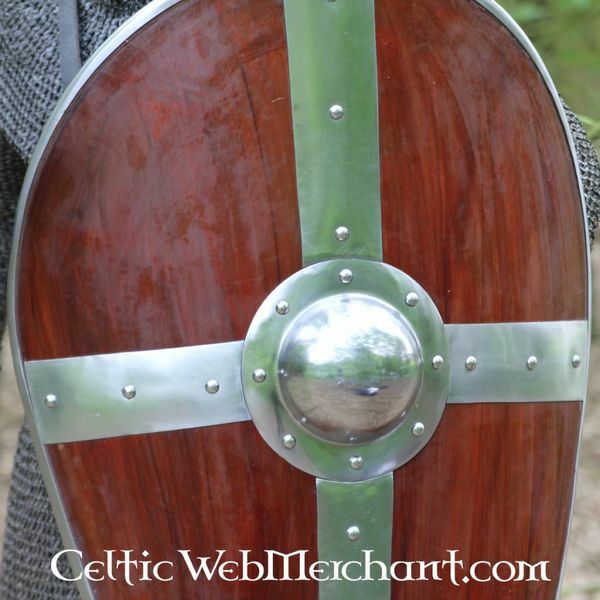 This shield is made of 1,3 cm thick wood and it has a boss and cross of steel. 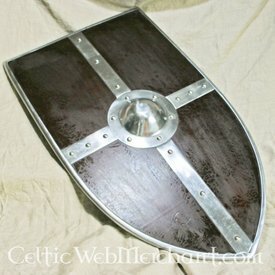 The back has 5 leather bands for wearing comfort. 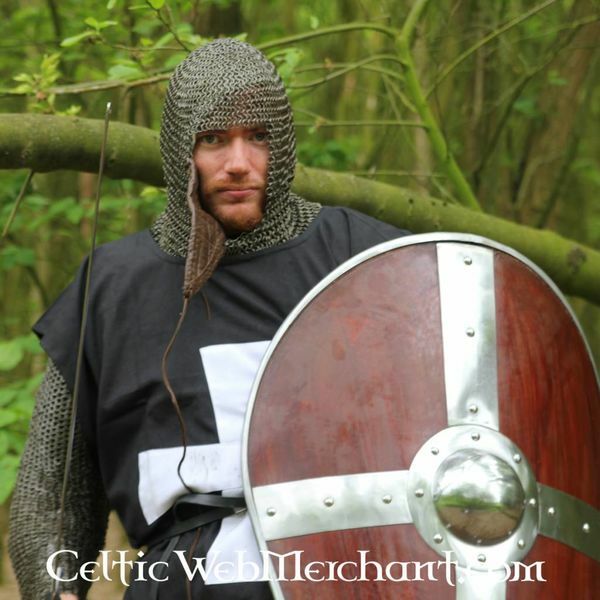 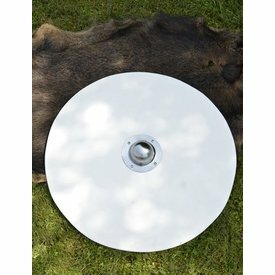 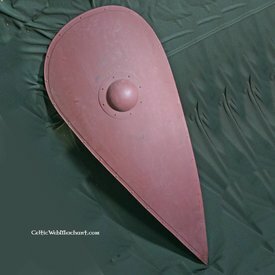 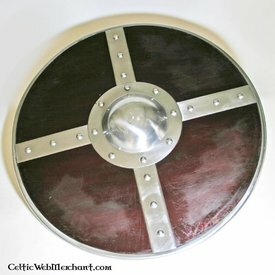 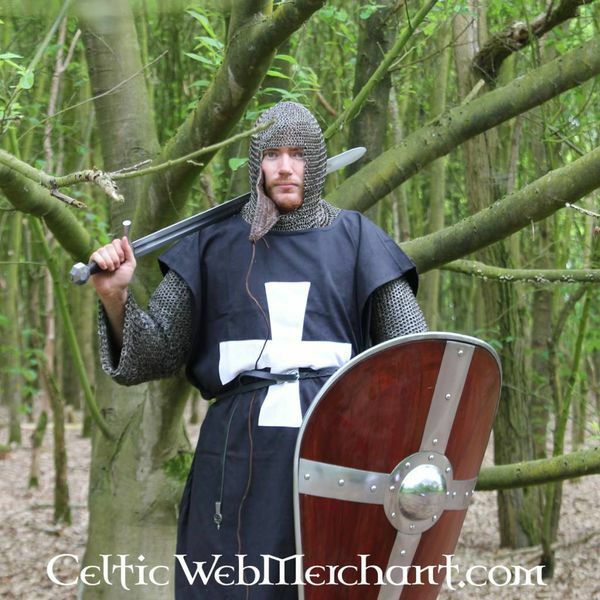 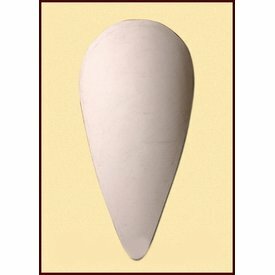 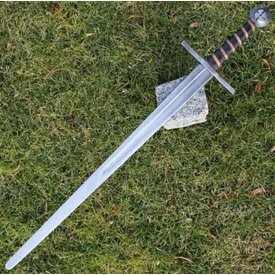 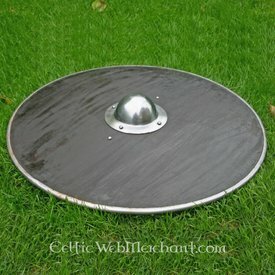 The shield has a height of 139 cm, its width is 60 cm and it weighs 4,5 kg.